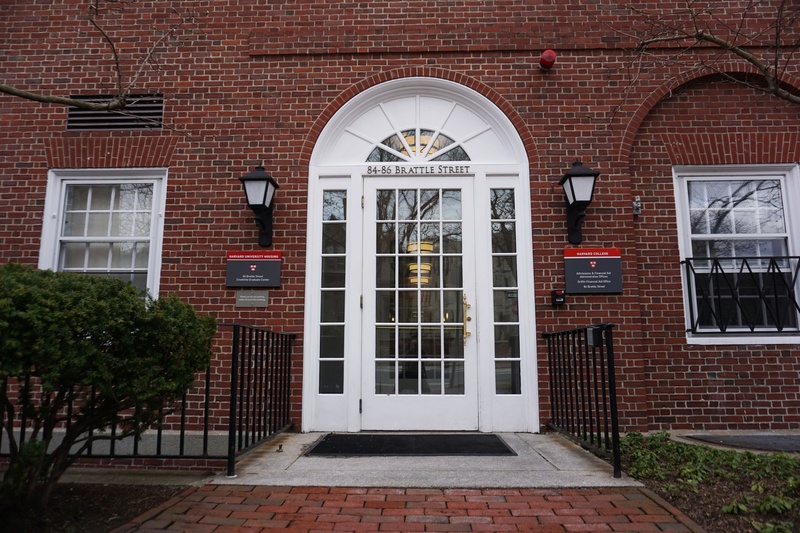 The College's admissions office is located on 86 Brattle Street. Admits to Harvard’s “Z-list,” a deferred admissions pool for a small number of students each year, are overwhelmingly white—and nearly half have parents who attended Harvard, according to documents made public in a lawsuit against Harvard. The documents are part of anti-affirmative action group Students for Fair Admissions’ filings in the suit—first brought in 2014—which alleges the school discriminates against Asian-American applicants. They reveal substantial insight into Harvard’s selective and previously confidential admissions process. Several pages of the filings deal with the Z-list, a means by which approximately 50 to 60 students are admitted to the College each cycle, according to the documents. The Z-list is not referenced on Harvard’s admissions website, but it has long been a common subject of admissions lore. A 2010 Crimson article reported the list dates back to the early 1970s. Computer technicians in the admissions office coined the term “Z-list” because the group is the last to get admitted each cycle, after regular and waitlisted admits. Students who are Z-listed must take a gap year before enrolling as freshmen the following year. According to SFFA’s filings, the Z-list is well over half white students — at 70 percent of the Z-list admits for the classes of 2014 to 2019, white students made up more of the group than Asian, Hispanic, and black students combined. Black students comprised only 2 percent of those admitted through the deferred admission program. The filings also show that children of Harvard alumni made up a significant portion of the Z-list in recent years; 46.5 percent of students on the Z-list in the classes of 2014 to 2019 were legacies, according to the documents. The filings also say that those admitted to the Z-list have pre-college academic records more comparable to rejected students than to those of other admitted students. “Academically, Z-listed admitted students perform far worse than other admitted students,” the documents read. Harvard’s filings, in contrast to SFFA’s, refer to the program only as the practice of “deferred admission,” and reference information about it from a report of the University's Committee to Study Race-Neutral Alternatives. Harvard’s filings do not indicate the impact of eliminating Z-list admission alone, nor do they provide demographic information about those students admitted to the separate pool.